The Devialet 800 makes your dreams a reality: unimaginably fine rendering (distortion is no longer even measurable) combined with more than 2x800W of power reserves. Not intended for amateurs! The Devialet 800 is actually two units daisy-chained in mono-blocks: a complete Devialet 250 “master” and a Devialet 250 “slave”. Providing all the advantages of dual mono, the Devialet 800 is a savvier solution than purchasing two separate Devialet 250s. The Devialet 800 makes your dreams a reality: unimaginably fine rendering (distortion is no longer even measurable) combined with more than 2x800W of power reserves. The Devialet 800 is the ultimate in audio solutions offered by Devialet, with no compromises whatsoever. 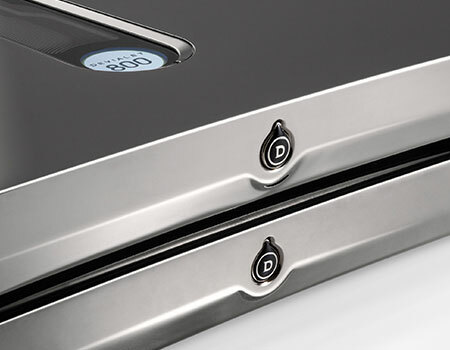 It is the result of more than 5 years of regular developments and improvements made by Devialet teams. The high-powered EVO card enables phenomenal power levels and breathtaking dynamics. 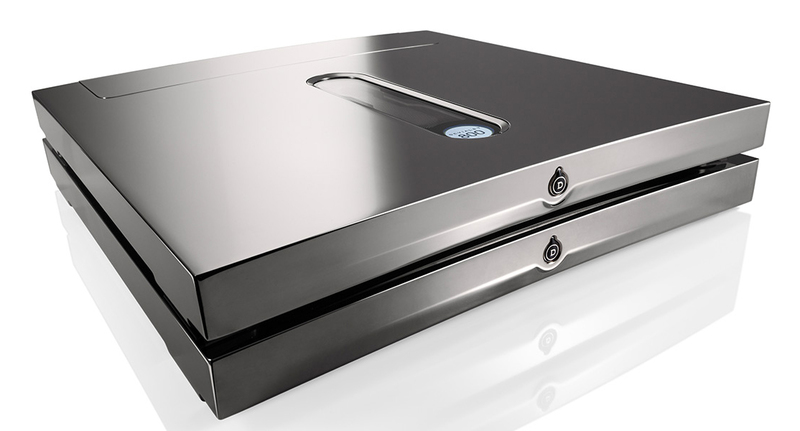 Its wealth of features and its exceptional hand polished cabinet will win over the most discerning of audiophiles. In this configuration, the Devialet 800 offers you unequalled musical resolution and beats every record. Devialet technology is magnified through its operation in mono-block mode via a dedicated power supply and an ADH core for each channel. With further reduced distortion, perfected spatial rendering and increased dynamics, the Devialet 800 expands the limits of your musical experience. Shortest signal path in the world (less than 4 inches between the DAC and the speakers output connectors): lossless by design. Unequaled Signal/Noise ratio (> 133 dB): abyssal silence, emotional power, the music emerges from nothingness. Harmonic distortion barely measurable (0,00025%): absolute fidelity of instrumental timbres and sonorities. Intermodulation distortion equally barely measurable (0,00025%): seizing realism of soundstage (separation and placing of instruments). Thermal distortion non measurable: very natural fast variations of dynamics (impacts, resonances).